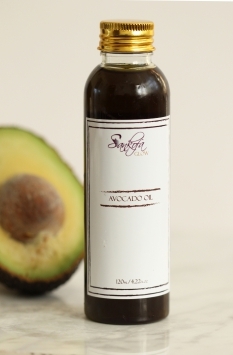 Avocado oil is an awesome oil for skin! It’s great for soothing and adding moisture. It works well with other moisturizers especially Shea and Cocoa Butter. Its dark, rich and distinctive colour makes it stand out from the rest and it works amazingly well for dry chapped skin. I wouldn’t suggest it for oily areas of skin (for example an oily T zone) but for all the other areas its worth it! Tip: May help moisturise your hair and scalp. Many use the oil as a hair conditioner, by massaging a small amount of oil into their hair, keeping it on for half an hour and then rinsing it to leave the hair soft and shiny!